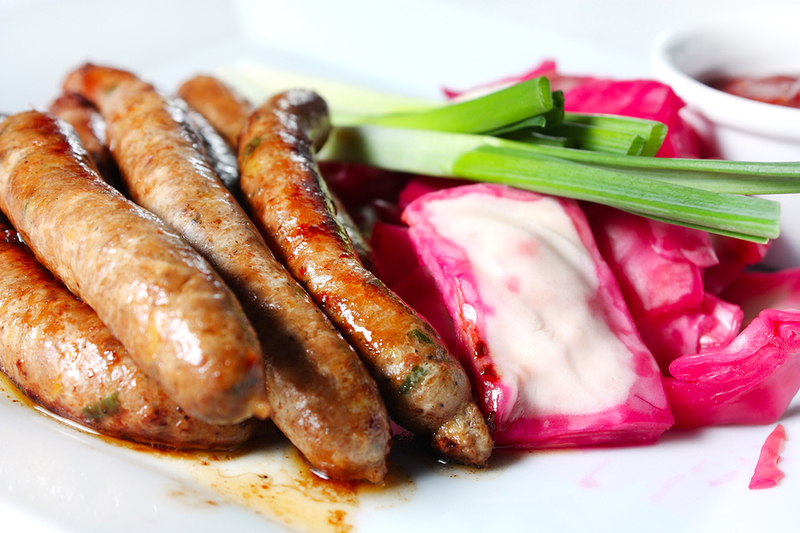 Moroccan spices together with tasty succulent lamb make these sausages delicious. Fresh local farm chipolatas available in pack weights 500g, 1kg or a large 2.5kg pack. Lamb 67%, Water 17%, Rusk 11% (WHEAT Flour, Water, Salt, Raising Agent (E503ii)), Seasoning (Salt, Spices, Rusk (WHEAT Flour, Salt)), Flavourings, Sugar, Herbs, Dried Yeast Extract, Stabiliser (E451i), Preservative (E223), Garlic Powder, Colour (E160c) Sunflower Oil. Hand filled using natural sheep casings.